Bought a new green ceramic container at an antique shop last week and thought I'd have it makes it's debut at a still life prop with these colorful dahlias. 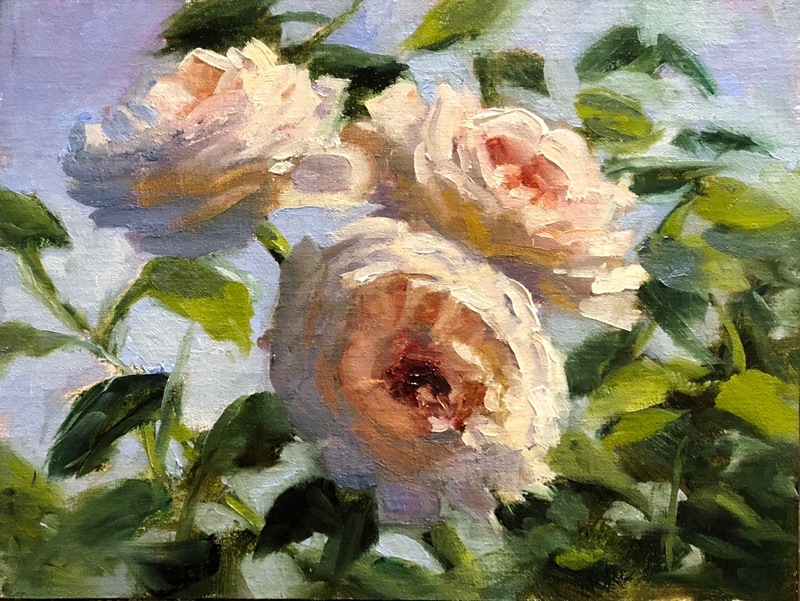 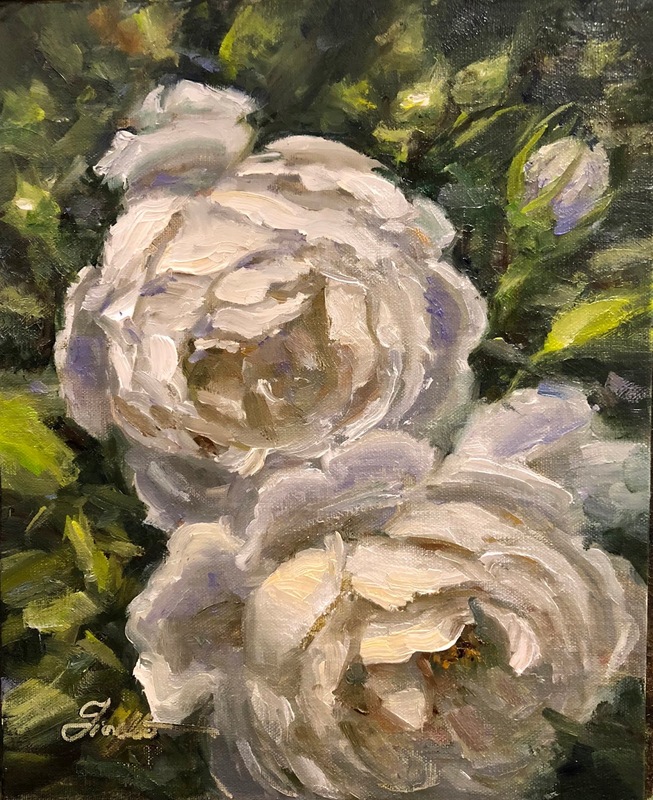 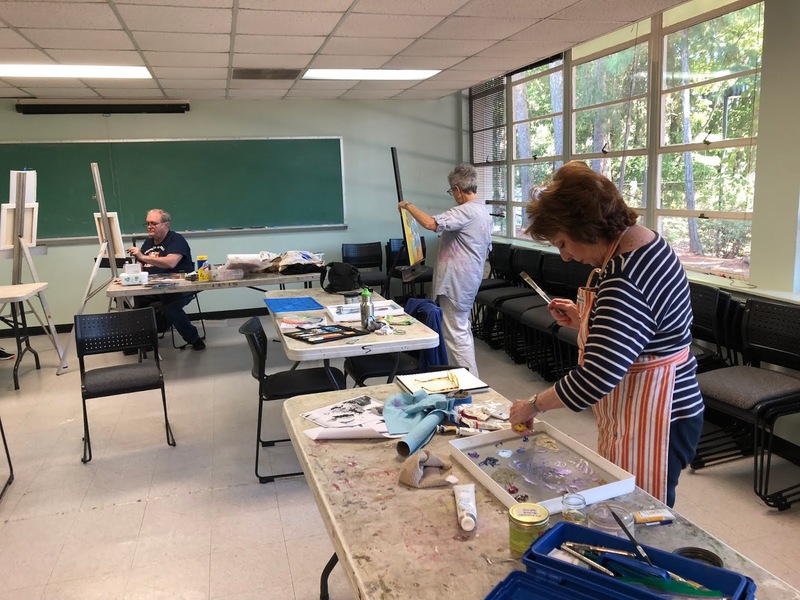 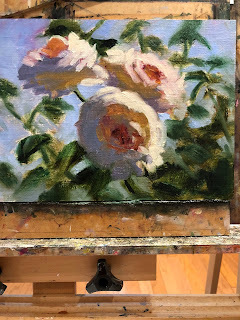 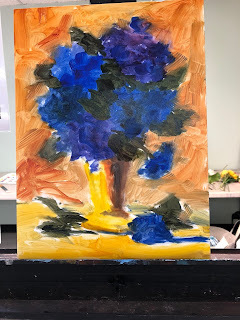 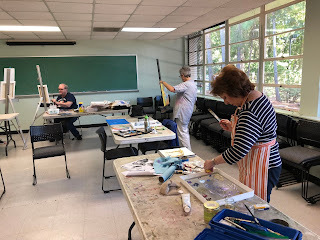 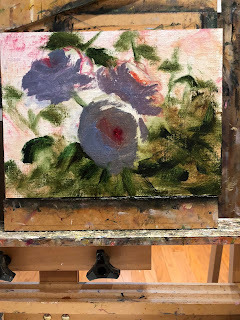 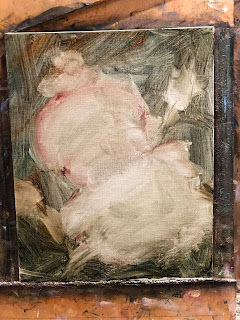 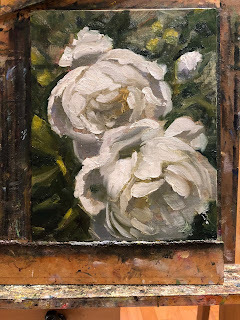 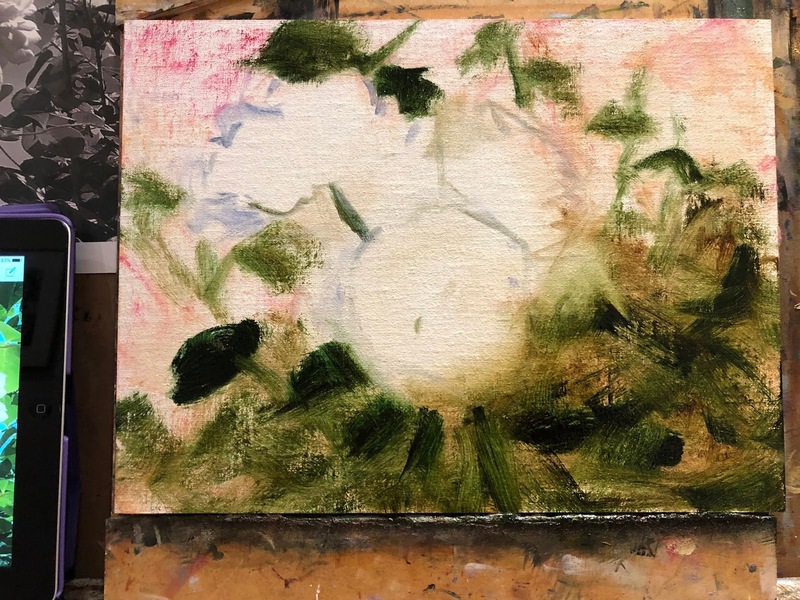 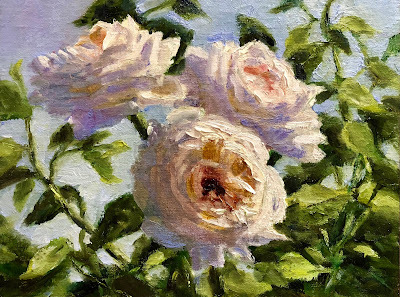 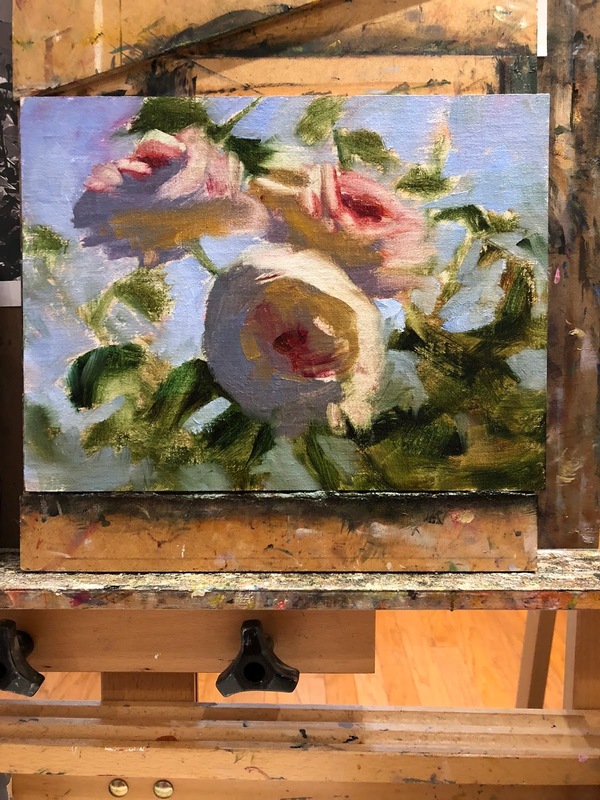 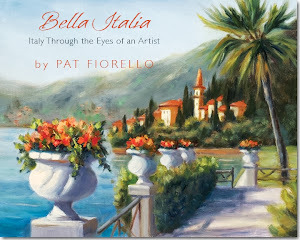 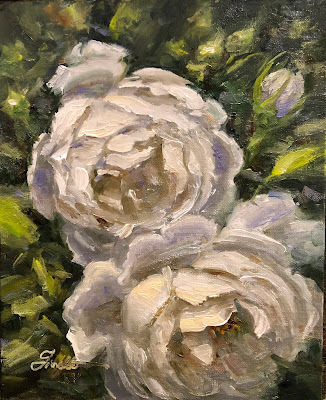 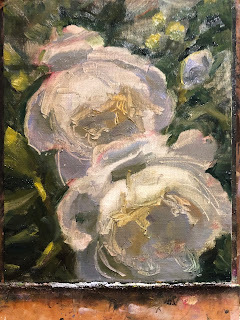 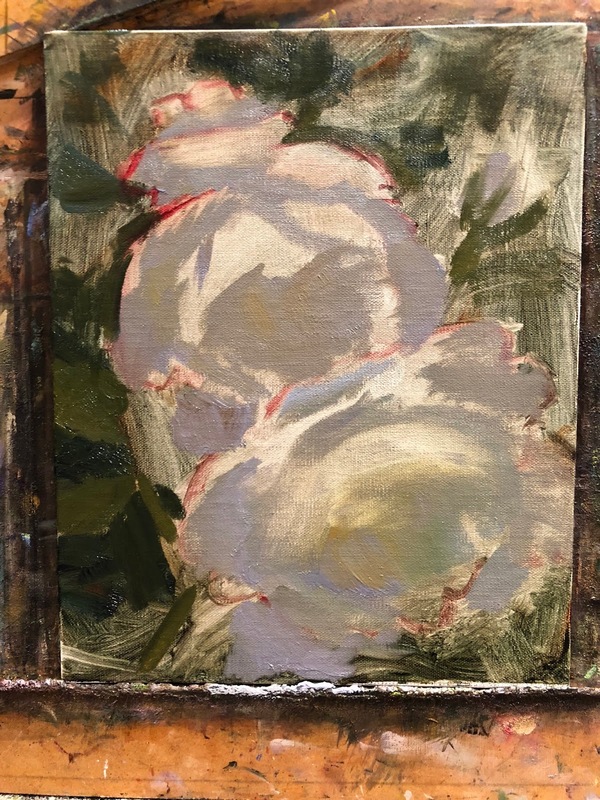 This is my demonstration painting from my "Painting Flowers Alla Prima in Oil" workshop this past weekend at the Spruill Arts Center in Dunwoody, GA.
A fun group of students all did a "paint-along" of this arrangement with me. I shared a method I often use to get a painting started in a fun, freeing way- and that is to just start out without drawing, just massing in general shapes with only transparent colors. The beginning part often looks way too bright, but then colors and values are adjusted during the next phase where opaque paints are brought in to bring the whole thing into balance. I've been experimenting a bit with different approaches to depicting light and shadow. 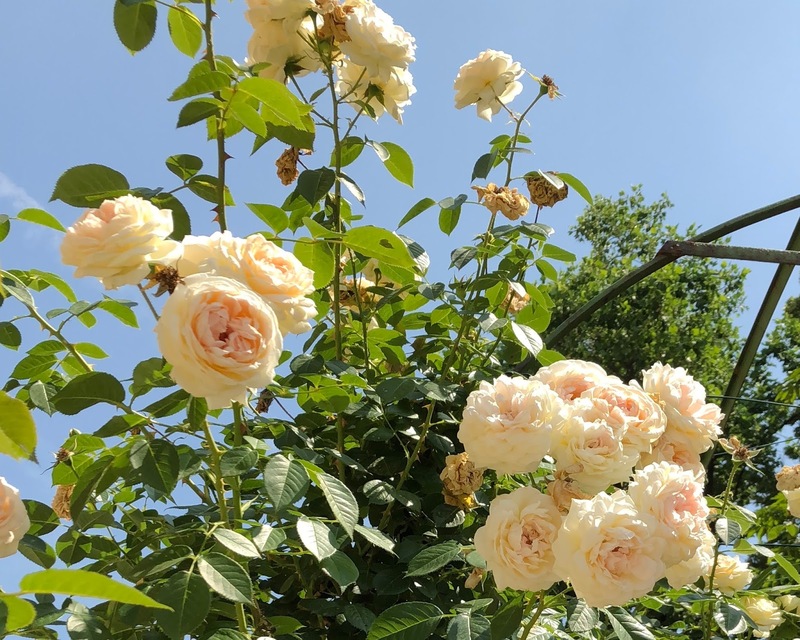 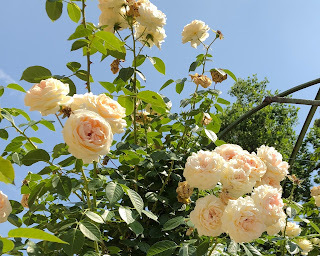 Revisited a photo I'd taken of these David Austin Desdemona Roses that grow in my backyard. I first painted them a year ago and thought I'd give it another try, focusing on strong light and shadow on the major blossoms and more suggestion of activity on the background. Did this painting starting with background, wiping out the overall shape, building shadow shapes, then light shapes and refining from there. 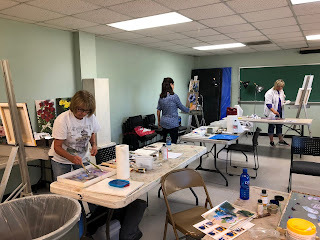 Here are some of the steps along the way below. 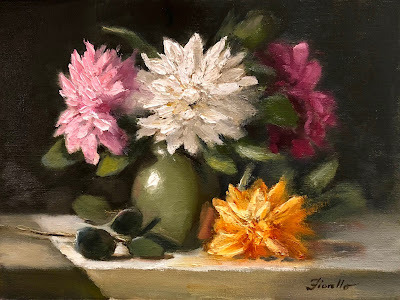 I have been on the hunt for a ceramic black vase for months, looking in antique shops, on -line, pottery stores etc.. and no luck. 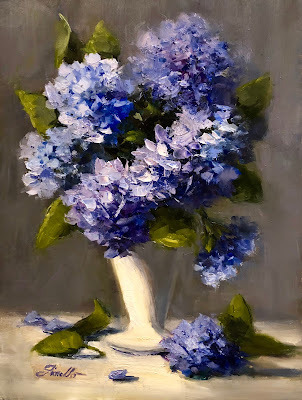 In the meantime, I came across this small blue vase. 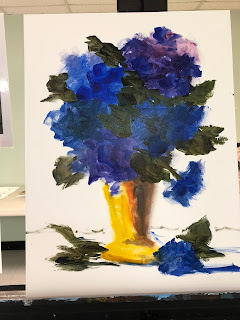 Loved the color, so the next thing you know it was coming home with me to be added to my still life prop collection. 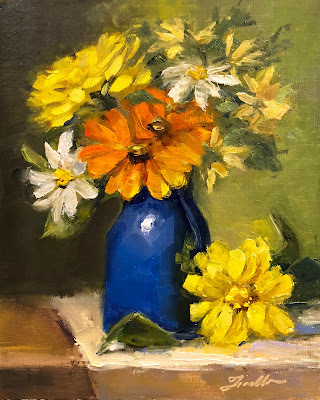 Despite the end of summer, these yellow, orange and white flowers are lingering on in my garden so I clipped a few thinking they might be wonderful warm colors against the blue vase.